Posted: Friday, June 15, 2018. 12:58 pm CST. By BBN Staff: Today, Belize’s Ministry of Foreign Affairs issued a release commending Friends for Conservation and Development (FCD) for the detention of illegal Guatemalan farmers inside the Chiquibul National Park. 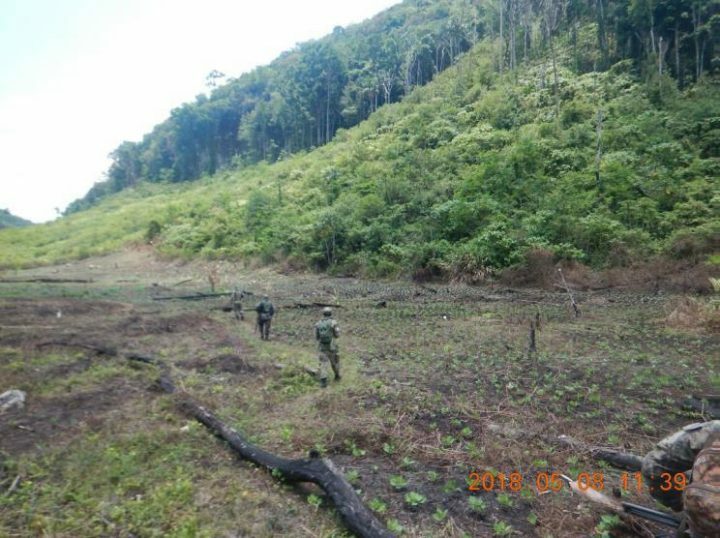 On June 6, rangers from FCD apprehended Guatemalan national Edras Geovani Cantoral Garcia, and Honduran national Elder Mauricio Diaz for environmentally-related offenses, in the Chiquibul National Park. Following up on the incident, the Ministry of Foreign Affairs convened a high level inter-ministerial group – comprised of the Ministry of National Security, Ministry of Foreign Affairs and Ministry of Fisheries, Forestry, the Environment and Sustainable Development – to ascertain the facts of the incident. Last Wednesday, June 6th, at around 10: 30 a.m., a group of park rangers from the co-managing organization FCD intercepted five persons in possession of endangered game birds in the Chiquibul National Park, 4km within Belizean territory. The rangers attempted to detain the five persons but three managed to escape. One of the escapees aimed a .22 caliber rifle at the Chief Ranger, a trained special constable, who in self defense fired a warning shot before the escapee ran off into the jungle leaving the firearm behind. The remaining two poachers were found in possession of bags which contained 1 dead male curassow, 2 dead female curassows, a dead Crested Guan, and 2 live scarlet macaw chicks. The detainees were handed over to the San Ignacio police station where illegal entry and poaching of wildlife charges were laid by the Belize Forest Department. The firearm was processed by the Police Department and held as evidence. In carrying out its investigation, the high-level group reviewed FCD’s actions and found them to be consistent with the Rules of Engagement for addressing life-threatening acts of potential hostility by persons found in the National Park. Due to the complexity and high frequency of illegal cross-border activities in the Chiquibul National Park, which straddles Belize’s western border with Guatemala, the FCD provides its rangers with relevant, comprehensive and rigorous training through the competent authorities, including special constable training with emphasis on human rights administered by the Belize Police Department. FCD rangers patrol the Chiquibul National Park regularly under the command of BDF patrols, and particularly so in the Adjacency Zone. When patrolling alone, FCD ranger teams are required to strictly adhere to the Rules of Engagement developed in collaboration with Belize’s law enforcement authorities. The FCD has had a co-management agreement with the government of Belize since 2007.